Are you shopping for gemstone jewelry? It is important to be sure that you are purchasing the real thing and not a cheap synthetic or another type of gemstone improperly labeled. That way you are getting your money’s worth. Plus, if you are purchasing the gemstone jewelry as a gift for someone else, it is even more vital to get it right. And what if you already have a gemstone, perhaps a piece of estate jewelry that was handed down, and you want to determine its value? One of the first steps you can take is to check it out yourself and see if you can determine whether it is real or not. 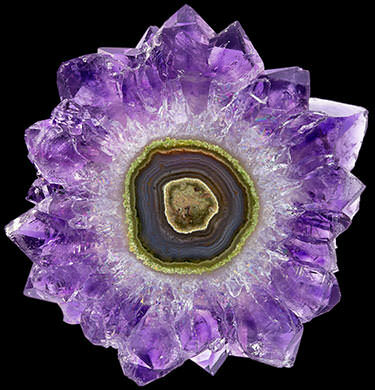 One thing that is important to know is that the majority of gemstones are treated in some way. There are dozens of different types of treatments out there which can enhance the clarity or color of a gemstone. A treatment by itself does not constitute a “fake” for that reason. 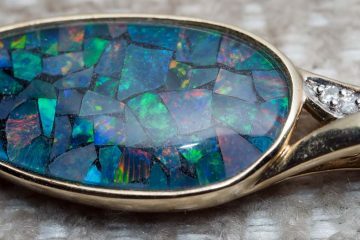 You don’t want someone selling you a gemstone and claiming it is 100% natural if it has been enhanced, but so long as you are getting a fair price, an enhancement is not something that should deter you from a purchase. Synthetic: This specifically refers to a gem which has been manufactured in a laboratory. Some synthetics are chemically equivalent to natural counterparts, and thus are not natural, but not “fake” either. Synthetic ruby for example is real ruby—just not natural ruby. Other synthetic gemstones have no natural counterparts. Cubic zirconia is one example. Simulant: This word is often used interchangeably with “synthetic,” but does not refer to the same thing. 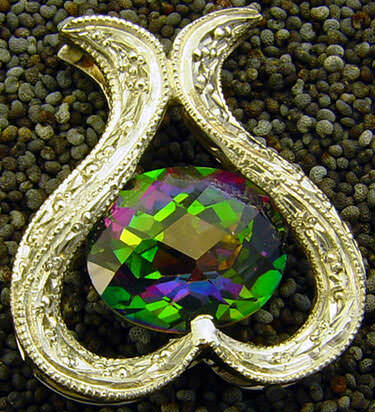 A simulant is a material which looks like another. It may or may not be lab-created; simulants can be entirely natural. Red spinel or red glass may both be used as simulants for ruby; spinel is natural and red glass is artificial. Another type of spinel works as a simulant for emerald. Cubic zirconia is a simulant for diamond (it is a simulant and a synthetic). Technically, synthetics and simulants are not “fakes.” A gem is only a fake if it is being billed as something other than what it really is. If no one is misleading you about the nature of the gemstone as a synthetic or simulant, that is all it is. It is cubic zirconia, not diamond or spinel or ruby. There is nothing “fake” about cubic zirconia. But if a jeweler is selling you cubic zirconia and claiming it is a diamond, it qualifies as a fake. Ask the jeweler where the gemstone you are looking at was mined. If he or she does not have an answer to that question, that is a bad sign. Generally speaking, jewelers should know where most of their gemstones came from, since this is a very common query from customers. Ask for a GIA certification or something equivalent. The certification for the gemstone must come from a qualified third party! It is not acceptable for the jeweler to provide a “certification” of their own which they have typed up. This does not prove anything to you, except that you should take your business elsewhere. Look up basic pricing information before you go shopping. Find out what price range is reasonable to expect for gemstones of varying levels of quality. If you are being quoted an absurdly low price and you cannot see any obvious reason for the discount, there is a pretty good chance the gemstone is fake. Gems are valuable, and there is no reason for a jeweler to forego profits on a real stone. Ask the jeweler about using lab equipment to check out the gemstone. Many jewelers keep basic equipment for analysis on-hand and will allow you to look closely at a gemstone to check for foil, paint, inclusions, bubbles, etc. The most common gadget you can use is a loupe. This is a small magnifier, also called a hand lens. Now let’s talk about specific tests for different types of gemstones you might be shopping for. Thankfully it is unlikely you will encounter fake amethyst, since amethyst is a common and relatively inexpensive semiprecious gemstone. 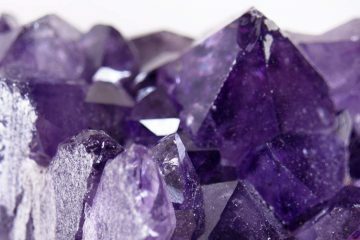 Nonetheless, fake amethysts made out of glass do exist. These pieces are easily scratched, and usually appear perfectly crystal clear inside. Genuine amethysts rarely look this pristine, and they do not scratch so easily. Real pearls have a somewhat grittier texture than plastic or glass pearls. It can be hard to detect, because quality pearls are still quite smooth, but many gemologists say they can feel it by scraping the surface with their teeth or fingernails. You can also try gently rubbing two pearls together. You may detect the grittiness of their texture through the friction that you feel when you rub them together. There may also be a powdery residue, which is a bit of the nacre rubbing off. If you do not detect the powdery residue or the friction, chances are good the pearls are fake. If you happen to have a microscope, you can look at a real pearl and see a scaly texture as well. This texture will be absent in a fake pearl. There are also more imperfections in the shape of real pearls and more variations in hue. Finally, one more trick is to check out the drill hole, if you can. You may detect slight ridges around the drill hole; this is usually a good sign you have a real pearl. On fake pearls, you can spot other types of imperfections, but they are often dead giveaways. You might see an extra flake of plastic or glass that was not properly cut away, for instance. If you are trying to figure out if the emerald you are eyeing up is real or not, you can have a challenge on your hands. A good sign is if it comes from a country where natural emeralds are mined. Bring a bright light and a magnifying glass with you and check out the stone up close. If you are able to find small flaws, it may be another good sign you are looking at a real, natural emerald. A fake ruby gemstone could be another red stone like spinel or tourmaline, or it could be a piece of red glass. The same scratch test you can use to look for glass amethyst works to look for glass rubies as well. Real ruby is quite hard and will not scratch easily. You might also find tiny bubbles under a magnifier if the ruby is made of glass. Like glass, tourmaline, one of the other materials used to imitate ruby, is comparably soft. Garnet, likewise, is even softer. Both of these silicate minerals will scratch more easily than ruby. 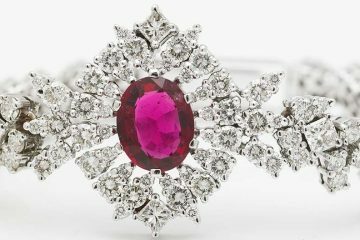 Fake rubies tend to be less dense than real rubies too, so if you have a similarly-sized ruby you have confirmed to be real, you can weigh it against the piece in question to see whether there is a significant weight difference. The fake will be lighter. There is a rather fascinating test to figure out whether amber is real or fake. You have probably heard of Baltic amber; it is estimated that prehistoric forests in the Baltic region created more than 100,000 tons of amber. When the Baltic sea gets stirred up by stormy weather, amber nuggets can float to the surface and get tangled in seaweed. Historically, amber “fishermen” were sent out into these stormy, dangerous conditions to net the amber before it washed up on the beaches to be claimed by somebody else. This was a thankless job since the amber all went to the Teutonic Knights, who claimed it for their own. This anecdote makes it easy to remember the saltwater method for detecting real amber! Now you know that real amber floats in saltwater. Fake amber will generally sink, unless someone was clever enough to create a hollow fake so that it would float. Make a saltwater solution. Add enough salt to saturate the solution completely. Toss in your amber and see if it sinks to the bottom. If it does, it is definitely fake. If it floats chances are good it is real. Another test is to rub your amber until it gets warm, then bring it up to your nose. The heat should have released some of the scent trapped in the amber. Amber is fossilized tree sap, and should smell resinous. If you detect the resin scent, your amber is almost certainly real. Is there an insect trapped in your amber? It should be a prehistoric species. If it is a modern species that didn’t exist in prehistoric times, that is a dead giveaway you are dealing with a fake. 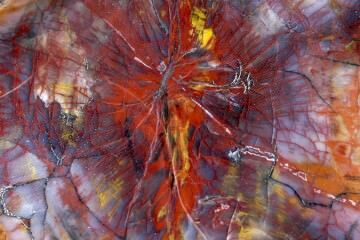 Remember, it takes on the order of 40 million years for resin to convert into amber. Sapphires that are chemically identical to naturally-occurring stones can be created in a laboratory in a matter of months. Because they share the same properties as the naturally-mined gems, they are very hard to tell apart. Unlike most sapphires that come out of the ground, though, lab-created sapphires generally contain few imperfections, and may even appear flawless under a microscope. Unfortunately, it can be challenging to tell a natural sapphire from a lab-created one without the help of a trained gemologist. Is it important to know? Yes, because even though the natural and lab-created stones are chemically identical, the natural ones are still more valuable. Fake sapphire may also be a simulant stone. Quartz, tourmaline, and spinel are all used to simulate sapphire. If you have a confirmed piece of real sapphire, you can weigh the stones and see if there are any obvious differences. Glass may be used to simulate sapphire as well. Glass sapphire sometimes has air bubbles which you can spot under magnification. What colors can sapphire have? Jet, like amber, is not a mineral, but a mineraloid. This shiny black gemstone is actually a condensed form of coal. You can check whether you have real jet or not using a sandpaper test. Rub your piece of jet with sandpaper gently, and see what color the dust is. If the dust is brown, you are looking at a common substitute like sulfur-treated vulcanite. If you see a black residue, you could be looking at a plastic bead. Jade is a confusing gemstone because it technically refers to two different minerals, called jadeite and nephrite. For most of human history, these were assumed to be the same material, until a French mineralogist in the 19th century figured out they were in fact different. Both however are considered “real” jade. There are a ton of jade simulants on the market, however. Serpentine, or “new jade,” is a common substitute, as is aventurine quartz. One of the simplest and best tests for identifying jade is to hold a piece up to a bright light and look through it. 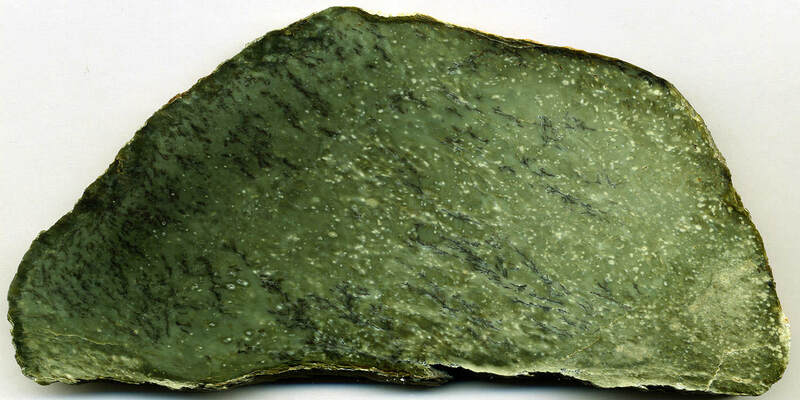 If you see a “fibrous” texture, you are probably looking at real jade. Simulants may have a different texture inside, or may have no inclusions at all and appear completely flawless (as chrysoprase will). Diamond is of course one of the most popular gemstones to shop for, especially if you are looking for an engagement ring, so it would be remiss not to go into detecting real and fake diamonds in-depth. Diamond is considered the world’s most precious gemstone by many people, and it tends to be very expensive, so it is extra-important to know what you are getting. While there are a number of common diamond substitutes such as cubic zirconia, there are also a number of tests you can use to evaluate a diamond. The first test you can try is an easy one. Raise the diamond in front of your mouth and breathe on it. Real diamonds disperse heat fast, and will not hold the fog for long. They will often clear instantaneously. If the fog stays on the stone for more than a couple seconds, it is likely fake. You can also borrow a loupe to get a closer look at the diamond. You can search for inclusions, color changes, and other imperfections. Imperfections are a good sign; cubic zirconia and lab-grown diamonds usually are flawless. If the diamond you are looking at looks too good to be true, it likely is. Another cool method for investigating a diamond is to have a look at its refractivity, which is the angle at which the stone bends light. The high refractivity index of diamond is what gives it its sparkle. If you have an unmounted diamond, you can turn it upside down and set it on top of a newspaper. If you can read the print, the refractivity index is low, and it is probably not real. If you cannot read the print, it may be a real diamond. Also look closely at the reflections in the diamond. If you see a rainbow of hues, it is probably not a diamond. If you only see grey, you may be looking at a diamond. There are a couple of tests involving water you can do if you have the stone at home. You can try dropping it right in and see if it sinks or floats. Real diamonds sink because of their density. Fakes may or may not float. Another test is to heat up the diamond using a lighter for half a minute, then drop it into cold water. Materials like glass will shatter. Diamond will not. If you can afford professional testing, you can bring a diamond to a professional to check it using a heat probe test, high sensitivity weighing, or another high-tech method. You may have heard you can X-ray a diamond to see if it is real, and that a real diamond will not show up on an X-ray. This is a myth; miners in South Africa are X-rayed routinely to check for smuggling. Alternatively, you can purchase a diamond tester, also called a Moissanite tester. It is not too expensive, and a good option if you regularly purchase diamonds. It is small and portable, and you can bring it to the store. 10 simple tips for testing diamonds. Remember, if you have the money, you can always find a certified appraiser to investigate a gemstone you are thinking of buying. And since a precious gemstone is a major investment, it can pay off to spend a little extra to make sure what you are getting is the real thing. Many retail outlets provide appraisal services, but you may prefer to seek out an independent appraiser who is not affiliated with the store. Try and choose one that has a Graduate Gemologist (GG) degree. If the appraiser gives you the nod on a purchase, you can move forward with far greater confidence. And if you have a piece of estate jewelry, you will know exactly what it is worth.